The games industry is a tumultuous one. Competition is fierce and studios have to keep up with the times or find themselves left in the dust. This week, Fable Legends was deemed unworthy by Microsoft Studios and was canceled, Riot Games looked to expand their portfolio by acquiring Radiant Entertainment, and the new launch of The Division breaks Ubisoft’s sales records. In an unfortunate turn of events, Fable Legends, the free-to-play spinoff of the Fable series, has been cancelled by Microsoft. According to a statement from Microsoft Studios Europe general manager, Hanno Lemke, there is also discussion of closing Fable developer, Lionhead Studios, altogether after its 20 year run. GamesIndustry also reports that Press Play Studios, developer of Max & The Magic Marker, will also be closed. The decision comes from Microsoft Studio’s efforts to focus its investments on “games and franchises that fans find most exciting and want to play.” Ouch. Fable Legends was in private beta with an expected release later this year, but will now close down on April 13. “Riot Games” has always been a bit of an ironic name for the studio known for their one and only title, League of Legends. All that will soon come to an end however. Early this week, Radiant Entertainment announced their acquisition by Riot Games. 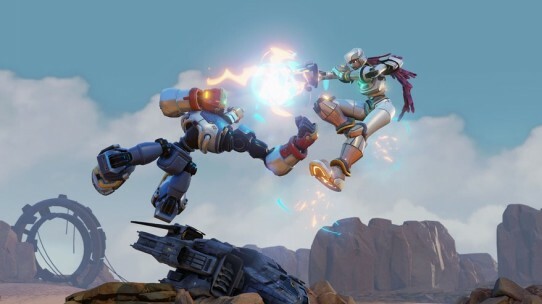 Radiant has been developing the castle-building PC game Stonehearth as well as free-to-play fighting game Rising Thunder. According to Venturebeat, development of Stonehearth will continue through the acquisition, but Rising Thunder will be closing down. The Rising Thunder team instead will be moving to a new, yet-to-be-announced game. Ubisoft’s The Division launched this week. Initial reviews have so far been a bit mixed. Wired found the atmospheric environment to be particularly strong, but felt the sluggish controls marred the overall experience. According to Kotaku, players already have found a way to grief others in game by blocking the entrance of the safe house. However, the biggest news was how popular the game was upon launch. debut of The Division broke Ubisoft sales records in its first 24 hours, reports GameIndustry. Though no specific numbers have been provided just yet, Ubisoft has reported that the game has sold more copies than “any previous title in the company’s history.” Digital sales records were also broken for single-day downloads for Ubisoft.